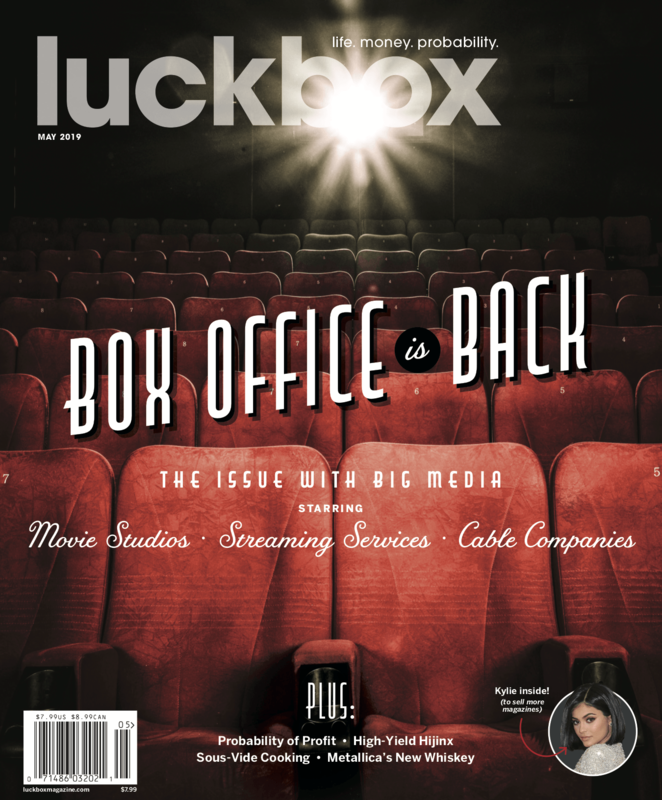 The May 2019 issue of luckbox! An in-depth look at the winners and losers in big media & entertainment. Netflix or Disney? What about the movie theater stocks? Cord cutting, Metallica's New Whiskey, the Keto diet, Pump & Dump Scamsters, and find out who is named May luckbox of the Month! The premiere of luckbox! This essential new magazine from Tom and the financial brains behind tastytrade is written for proactive investors. 66 pages of content for those who want to make better decisions based on informed risk-taking and probabilities. luckbox content is for informational and educational purposes only. It is not, nor is it intended to be, trading or investment advice or a recommendation that any security, futures contract, transaction or investment strategy is suitable for any person. Trading securities can involve high risk and the loss of any funds invested. 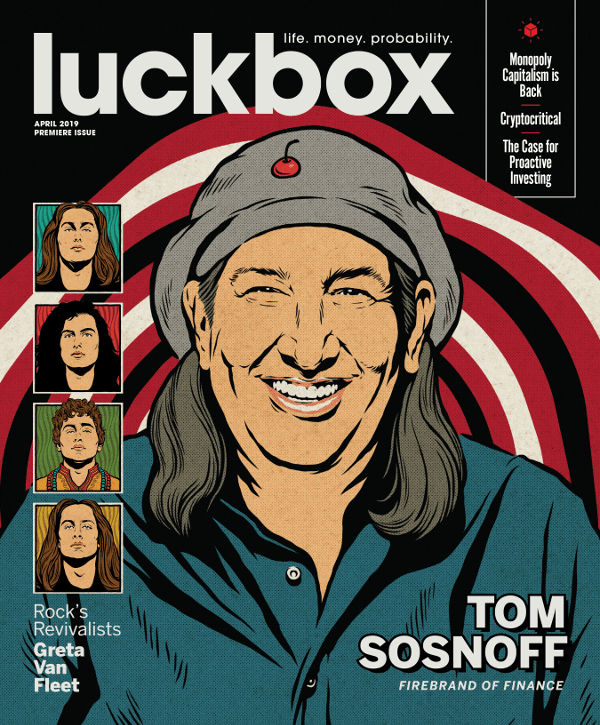 luckbox magazine ™, a brand of tastytrade, Inc., does not provide investment or financial advice or make investment recommendations through its content, financial programming or otherwise. Investment information provided may not be appropriate for all investors, and is provided without respect to individual investor financial sophistication, financial situation, investing time horizon or risk tolerance. luckbox magazine and tastytrade are not in the business of transacting securities trades, nor does it direct client commodity accounts or give commodity trading advice tailored to any particular client’s situation or investment objectives. luckbox magazine and tastytrade are not licensed financial advisers, registered investment advisers, or registered broker-dealers. Options, futures and futures options are not suitable for all investors. Transaction costs (commissions and other fees) are important factors and should be considered when evaluating any securities transaction or trade. For simplicity, the examples and illustrations in these articles may not include transaction costs. Nothing contained in these articles constitute a solicitation, recommendation, endorsement, promotion or offer by tastytrade, or any of its subsidiaries, affiliates or assigns. luckbox magazine and tastytrade believe that the information contained in luckbox magazine is reliable and makes efforts to assure accuracy, but the publisher disclaims responsibility for opinions and representation of facts contained herein. Active investing is not easy, so be careful out there!